Nina Lualdi is Cisco’s Sr. Director, Strategic Innovation and an advisor to start-up companies in Silicon Valley and Latin America. In the past three years, she has helped lead the Latin America strategy to develop new markets and drive transformational opportunities through customer, partner and start-up co-innovation. She is the recipient of the 2016 HITEC Top 50 award presented to the most influential leaders in Latin America and Spain’s IT industry. 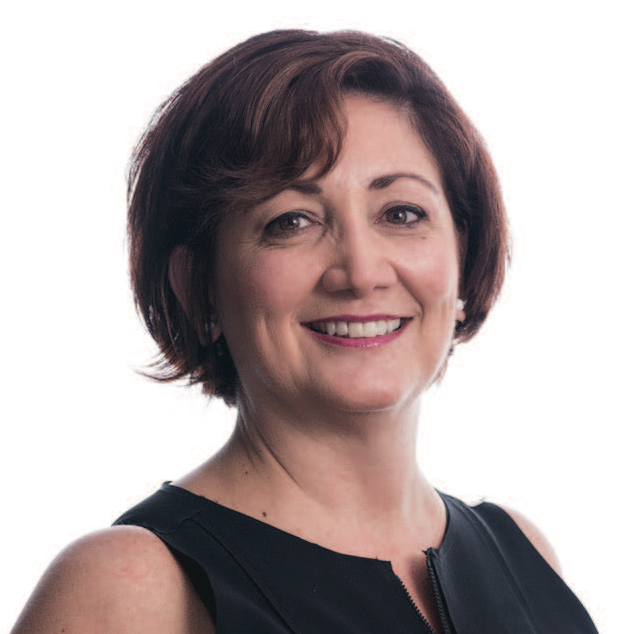 With more than two decades of experience managing complex, multicultural and multi-geographic transformation initiatives on a global scale, Ms. Lualdi has managed some of the most critical strategic initiatives within Cisco. Here she shares her thoughts on how to effect change in an industry driven by constant innovation, while staying firmly grounded to your roots. High tech is at an important inflexion point today, primarily driven by the advent of cloud and cloud-based applications in conjunction with the Internet of Things and the rapid evolution in artificial intelligence. But unlike previous technology waves that focused mostly on back-end processes and business models, technology today is much more about the human experience. Almost everything we know and do in the larger world is technology-driven in some way. The result is a more consumer-driven society that is more and more dependent on technology every day. All of this makes it extremely important that technology companies understand the customer; and more and more, the customer is diverse – coming from different parts of the world, with different cultural backgrounds, and different life experiences. This is where diversity and inclusion in your employee population is a huge advantage. Latinos represent a large and growing percentage of the US population, and Latin America is an increasingly important and lucrative market. Because of this, it is important that Latinos are represented in the companies that are creating technology solutions for these markets. Companies that truly understand the significance of diversity and the importance of diverse perspectives are the ones that will succeed. And the most successful companies will be those that not only seek diversity, but create an inclusive environment where every employee can bring his or her whole self to work. There is a unique and historic opportunity in high tech today because of the fast pace and global nature of technology solutions. For employees willing to gain the technology skills, there is a unique opportunity because virtually every industry will urgently require those skills in order to remain competitive and survive. For companies in different industries and geographies, there is a need to work together at a level that has never been seen before. This is where Cisco’s culture of inclusion and collaboration is a huge advantage. Cisco understands the value diversity in partnering, in building the best teams, and in fueling innovation. I also think it is important for companies to find ways for employees in different functions and geographies to share their unique expertise – to learn from one another. This can be accomplished through job rotations where employees have the opportunity to drive business in a different cultural environment or to learn a new part of the business altogether. Mentoring and sponsorship programs are also a great way of sharing this type of knowledge. The more we do this, the more we get closer to our customers, partners, and stake-holders, and the better we get at competing and driving the change that we all strive for in the world. What this means is that we need to reward and support employees who take the risk to move and embark on these experiences and make sure we leverage their knowledge not just to drive business, but to help evolve the overall culture of the company, which tremendously accelerates the move towards a more inclusive environment. Another thing I believe will be increasingly important in the high tech industry and that I hope and strive to encourage is appreciation for all generations of workers. There’s a misperception that high tech tends to be an industry that believes “younger is better” and “old is obsolete.” On the positive side, there has been a concerted effort in the industry to make sure the new generation is included and set up for success, but we need to be careful not to swing the pendulum completely to the other side and create an environment where the mature and experienced workforce feels excluded. We Latinos can be an influencer here as our culture is very rooted in the mature and older generations playing a key role in family and society as a whole. We can help our companies come up with approaches to help in this area. In the end, study after study shows that your most experienced employees, contrary to common wisdom, are still your most productive and effective ones. Having grown up in Venezuela and having worked extensively in the US, Europe and Latin America, I’m privileged to have a global perspective. I have many unique lessons and experiences that I bring to the table. I have used my Latino background and unique perspective to my advantage – to approach things differently, move things along, and in the end turn things that most people would think impossible into a reality.